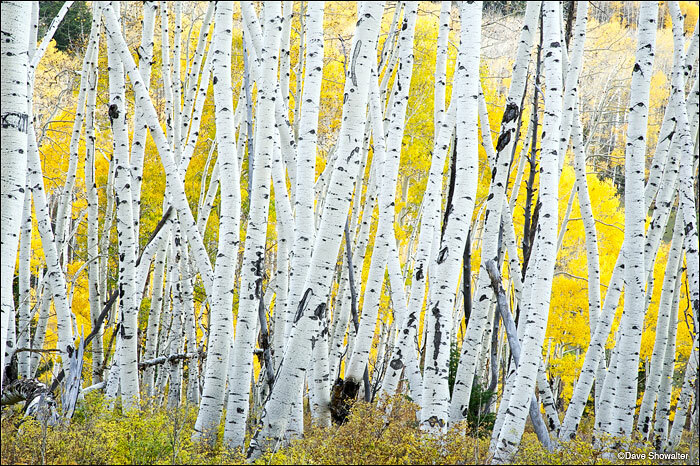 Bright white aspen boles in chaotic patterns contrast with a golden backdrop nearing the end of fall color. The image was made along Last Dollar Road near Telluride. Photo © copyright by Dave Showalter.